Rocket Movers never takes any chances with your stored belongings. 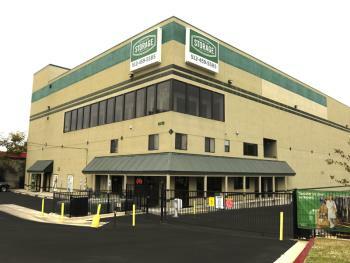 Our climate-controlled storage facilities feature the reliability you expect from a leader in the moving industry. We pack your belongings in secure wooden crates in order to prevent damage during storage and keep each item as safe as possible. Security cameras are strategically placed for 24-hour surveillance. Whether your belongings are in our warehouse for a day or a year, our efficient storage center keeps them out of harm's way. 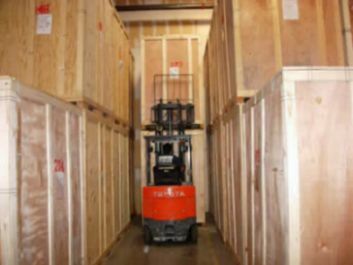 Rocket Movers offers a unique storage program with multiple locations across the area. Whether you are relocating and just need storage temporarily or consolidating through the tough economy, we can provide a one stop moving and storage package that is economical, safe and convenient. Through established relationships with reputable storage providers and heavy volume discounts we receive, we offer an alternative to traditional self storage at a competitive price. All arrangements and billing are handled through our office as your items are secured at the closest location to you. Customers may access their unit during regular hours of operation, with locks provided at no additional expense. Our qualified office staff can assist you in deciding whether an air conditioned, temperature controlled or regular unit would best suit your needs. Likewise, our movers will suggest size recommendations based on how easily you will need to access your items while in storage. Ease of use makes Rocket Movers the best moving company in Georgetown for Storage.